Gun sales and concealed carry permits are surging in the Ferguson area, as nervous citizens brace for the possibility of more riots. "People are buying guns for security to a point where they feel the need to defend themselves against one or more attackers," said Paul Bastean, owner of Ultimate Defense Firing Range in St. Charles, Mo., across the river from Ferguson. He used to sell three to five guns per day, but now he's selling 20 to 30 guns per day. Bastean, who is also an officer at the neighboring Lake St. Louis Police Department. He also said that enrollment has soared for courses on concealed carry and basic guns. The range runs courses with names like "First Steps" and "Ladies' Night." He said that he used to enroll 10 to 15 students per day, but now he's up to 60 per day. Police statistics bear him out. The St. Louis County Police Department, which includes Ferguson, issued 575 gun permits last month, more than double the 271 it issued last year. 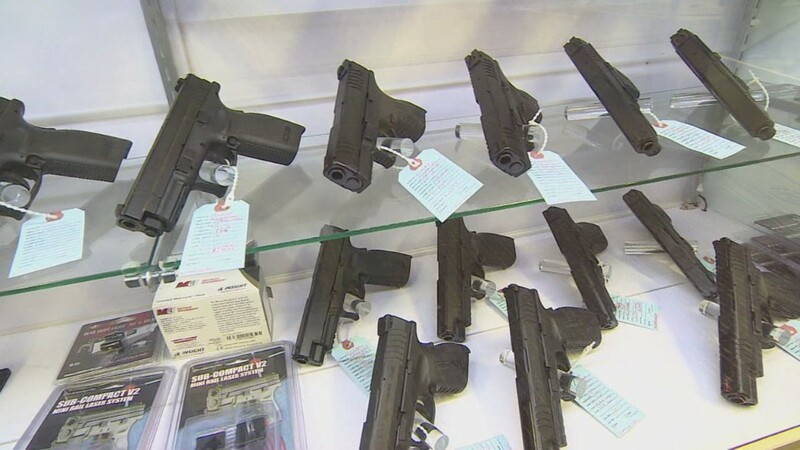 It also issued 286 permits for concealed carry weapons last month, compared to 233 in November of 2013. They have especially picked up pace since August, when Ferguson erupted into riots after a white police officer shot and killed a black teenager. A grand jury decision on whether to charge the officer is pending, and local citizens fear that riots could erupt again, depending on the outcome. "In the last two weeks, it's really picked up, because they're really anticipating this thing," said Adam Feinstein, owner of County Gun, which refurbishes guns in Florissant, a town next to Ferguson.